If you've always been fascinated by the stories of pirate treasure and glowing jewels and other loot, this is a way to celebrate the beauty of plunder. 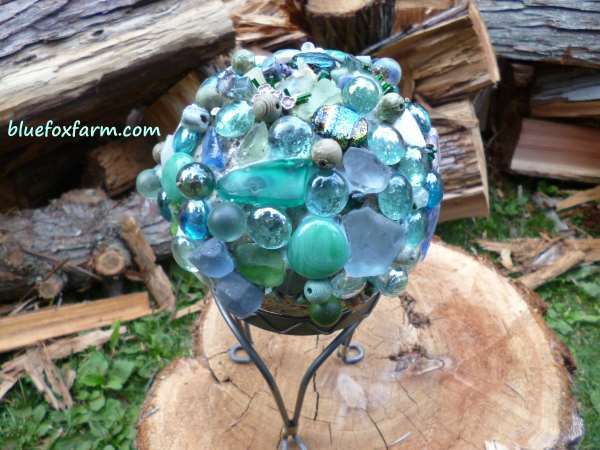 I've also always wanted a gazing ball - but I don't like the mirror kind - here's where glam meets rustic. In the ocean when ships are wrecked and sent to the bottom, a curious thing happens. Over time, lots of time, sea creatures make their homes on all the debris, forming fantastical castle-like shapes and crenellations. 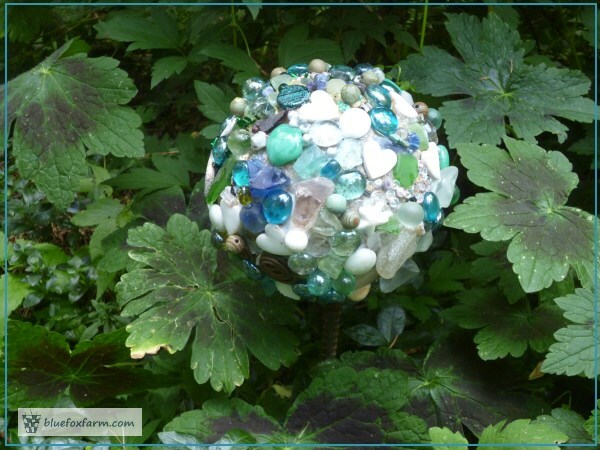 Once recognizable objects become encrusted with barnacles and other shell creatures, and are transformed from just an ordinary every day item to something fabulous. 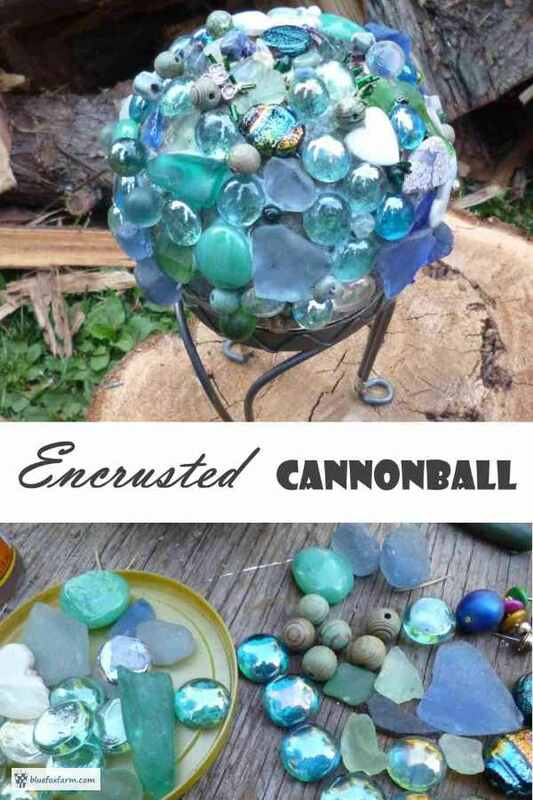 With the generosity of the sea in mind, I took one of my previous projects, a hypertufa finial, glued on all manner of sea glass, gems and marbles, and made it into this gem encrusted cannonball. The gems were a gift from a friend, then I found more in the local dollar store. 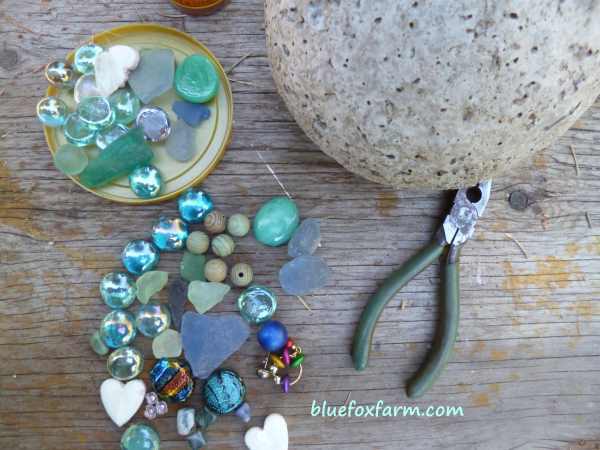 Other things you can use would be salvaged beads, sea glass from the beach, small polished pebbles, marbles, tiny tiles and whatever other treasures you've collected over the years. 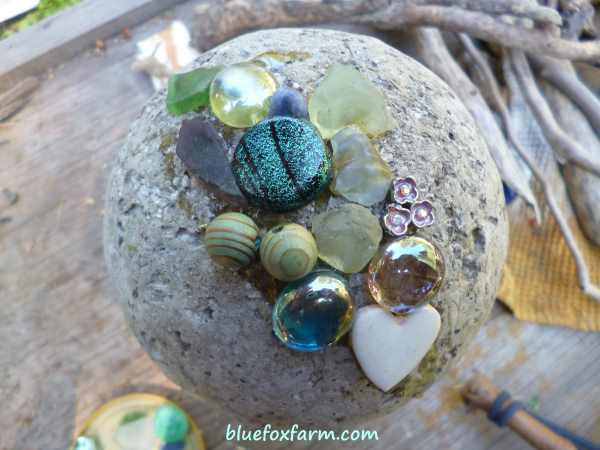 This one, because the gems are glued on with Mod Podge, most likely will be displayed under cover. If you want to have it in the garden in all weather, choose a glue that is weather proof, such as E6000. Two part epoxy is a good option for an outside project, or for indoors use something less industrial.